Joseph (Joe) Worthy Parks, Sr., 73, of Oak Ridge, passed away peacefully at Methodist Medical Center on Wednesday, October 10, 2018, surrounded by his closest family. Joe was born to James Marion Parks and Elizabeth Worthy Parks on November 14, 1944 in Greenwood, Mississippi. He and his beloved brothers James and John, grew up in Doddsville, MS, and later moved to Drew, MS as teenagers when their parents died. Joe is survived by his devoted wife of 37 years, Wanda Humpston Parks; son Joe, Jr., (Sharie) of Portland, OR; brothers James Parks and John Parks of Merritt Island, FL; and grandchildren, Anna Parks and Eli Parks of Portland, OR. After graduating from Drew High School in 1963, Joe earned a BS in nuclear engineering from Mississippi State University. He participated in NASA'S Co-Op program in Huntsville, AL, and pursued graduate studies at the University of Tennessee. In 1968 he moved to Oak Ridge to work with the Atomic Energy Commission (AEC). In his AEC/DOE career, Joe served as Director of the Enrichment Operations Division, Deputy Assistant Manager for Enriching Operations, and Chief of the Planning Branch of the Planning and Budget Division. From 1994 until his retirement in 1999, Joe was the Assistant Manager for Enrichment Facilities in the Oak Ridge DOE Operations Office. He was responsible for the management and administration of the lease agreement between DOE and the U.S. Enrichment Corporation (USEC) for the operation of the uranium enrichment plants in Paducah, KY, and Portsmouth, OH. Additional responsibilities included enforcement of DOE nuclear safety and security requirements at the facilities; management of the sale and lease of highly enriched uranium and programs retained by DOE at Paducah and Portsmouth. For his role in the nation's uranium enrichment program, Joe received Special Act Awards from two Secretaries of Energy. For many years, Joe was a member of the Breakfast Rotary Club. 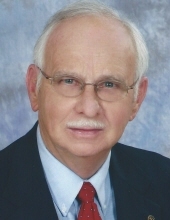 He was an active and beloved member of Kern United Methodist Church, where he served in many ways through the years: Trustees, Finance Committee, Long-Term Planning, and co-teacher for a teenage Sunday school class. Even with all of his career achievements, one of Joe's proudest accomplishments was in helping his friend Norman Smyrl to refurbish and repaint the many ornate facade pipes of the antique organ that Kern church acquired in 2005. The many hours spent painstakingly painting the pipes showcased Joe's attention to detail and love of a job done well. Although separated by many miles, Joe enjoyed visits with his son, Joe Jr and the opportunity to tinker in the garage or dabble in woodworking together. Few things could put a bigger smile on Joe's face than time with his grandchildren, especially seeing them laugh. There will be a receiving of friends on Saturday, October 13 from 11:00 am to 1:00 pm at Kern Memorial United Methodist Church, 451 East Tennessee Avenue. The funeral will follow at 1:00 pm, with the Rev. Don Morris and Rev. Dan Taylor, Jr. presiding. Interment will follow at Oak Ridge Memorial Park. In lieu of flowers, donations may be made to Kern United Methodist Church. Weatherford Mortuary is handling the arrangements. An on-line guest book can be signed at www.weatherfordmortuary.com. To send flowers or a remembrance gift to the family of Joseph "Joe" Worthy Parks, please visit our Tribute Store. "Email Address" would like to share the life celebration of Joseph "Joe" Worthy Parks. Click on the "link" to go to share a favorite memory or leave a condolence message for the family.